In the recent years, fat tire bikes are getting quite popular. Before 2006, They were made only by custom frame-builders who liked to pedal in snow (or sand, like beaches). 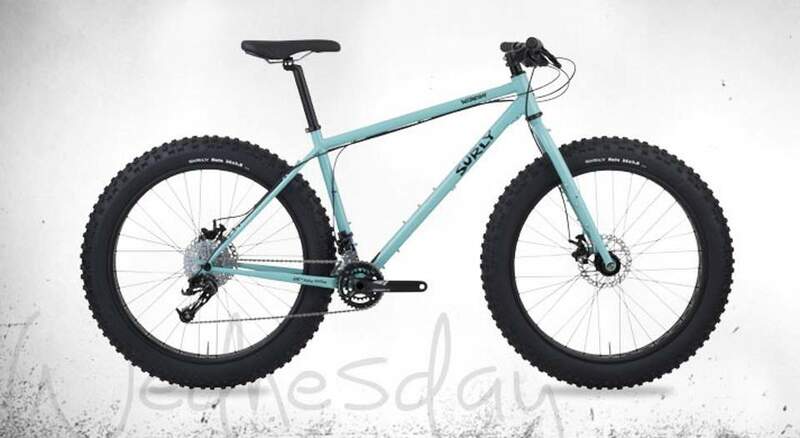 Then, in 2006, a Minnesota based bike manufacturer, Surly Bikes, which mass-produced the first notable bike in the “fat” genre with its Pugsley frame. They still build a lot of fat-tire bicycle models. So, many people think it is a new invention, but it’s not. 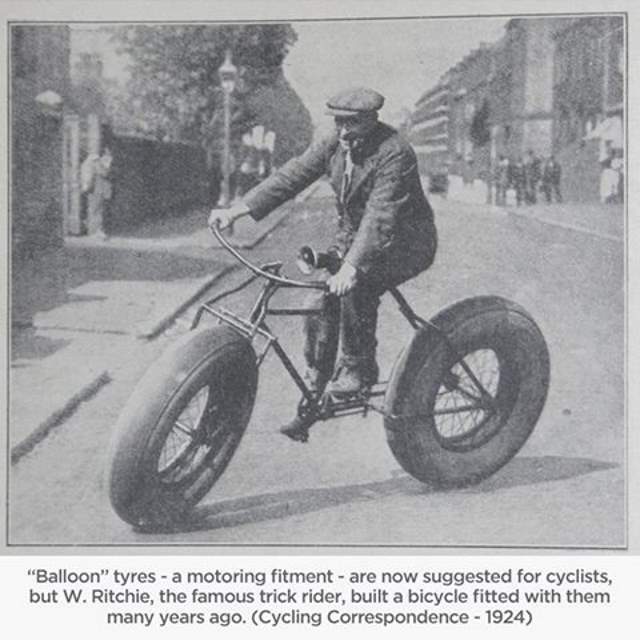 W. Ritchie, a track rider was the first who built a bicycle fitted with balloon tires many years ago. 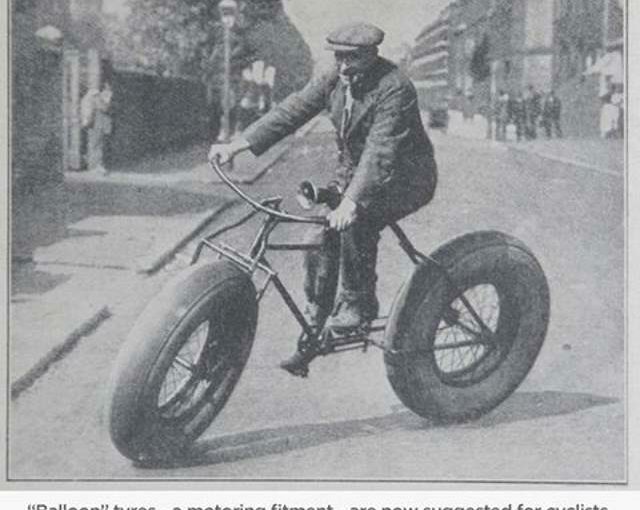 The photo below is from November 1924 issue of the magazine “Cycling”. November 1924 issue of magazine “Cycling”. 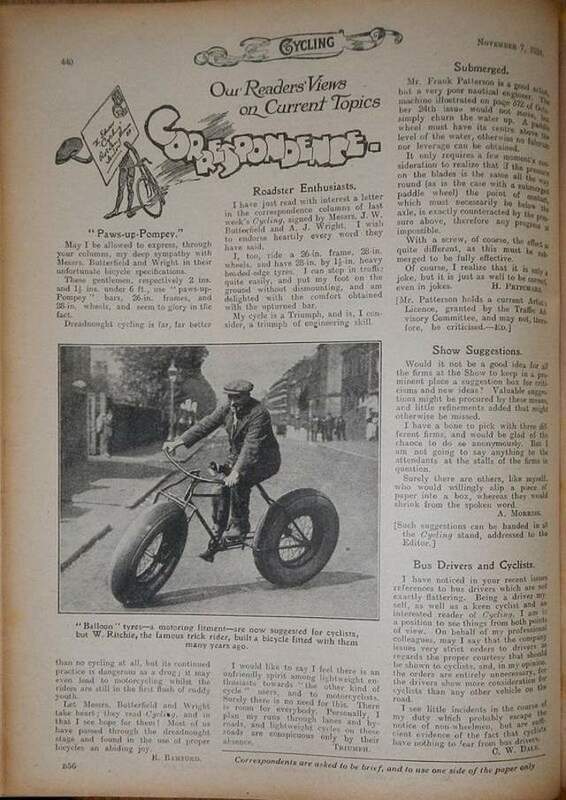 It mentions W. Ritchie, a “famous” track rider who built a balloon tire bike.